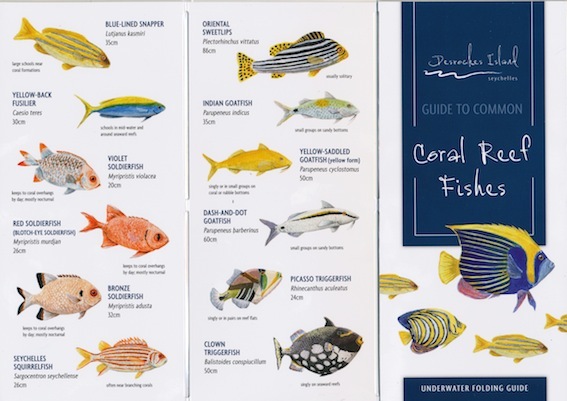 Waterproof folding-guide to common reef fishes created for Desroches Island, Seychelles. Features 54 species on 12 panels; designed to be taken underwater when snorkeling. Dear Duncan , I have looked up your blog , inspired by your article in Whale Talk on Birds in white.